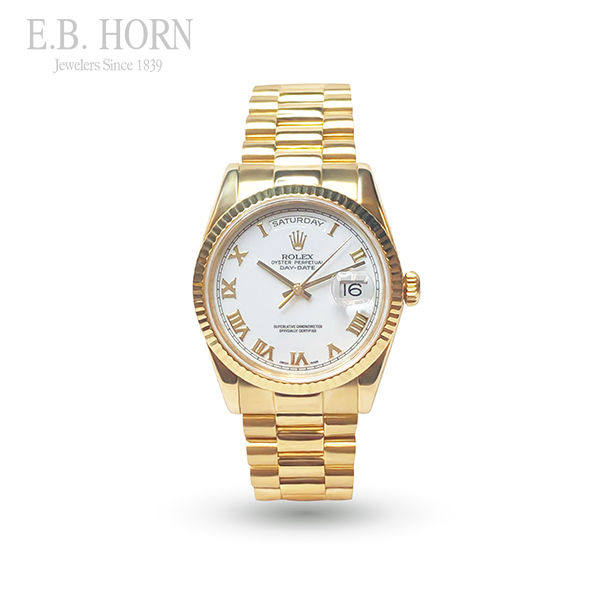 18kt yellow gold Rolex President 36mm circa 2001 with white roman dial. Model 118238. Serial number N2812xx. Excellent condition. Comes with warranty.